Class 2 Mailslot messages may be broadcast, multicast (NBT group), or unicast. If a message is sent as a broadcast or multicast datagram, all of the NBT nodes on the LAN will receive it. 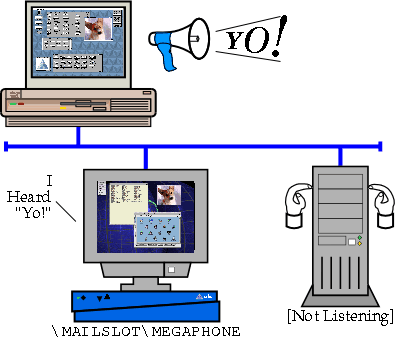 Those that are not listening on the specified Mailslot (\MAILSLOT\MEGAPHONE, in this case) or on the specified NBT name should discard it.